Anglers Den Blog | Home of English Angling Trappings – Tagged "Nymphs for trout"
If you haven't already heard... our Annual Fall Open House / Jamboree is going down THIS Saturday! We will have renowned Fly Tyer & Fly Casting Instructor Dave Brandt along with one of our show favorites, Dan Thomas. We have over 100+ ROYAL WULFF Fly Lines In-Stock! Bring Your Reels in for New Line! 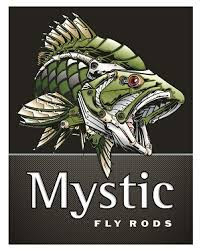 Stop by the Mystic Fly Rods Tent and Test Drive a Mystic Fly Rod! *Spey / Switch Rods Available. Have a certain model in mind? Drop us a line and we will make sure it is ready for you to test. Get your fly tying mojo cooking again! Dave Brandt: Renowned Fly Tyer & Fly Casting Instructor. Dave Needs no introduction. 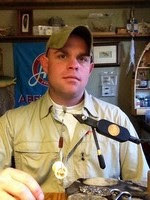 He simply is one of the most engaging and knowledgeable guys in the Fly Fishing industry. Dave is known for his Traditional Catskill Dry Flies & great sense of humor. Take this opportunity to ask questions and learn from the best! Dan Thomas: Creator of the Calamus, series of trout flies, Dan was born and raised in northeastern Pennsylvania. Dan is a member of the Catskill Fly tyer's guild, as well as the Catskill Fly Fishing Museum. 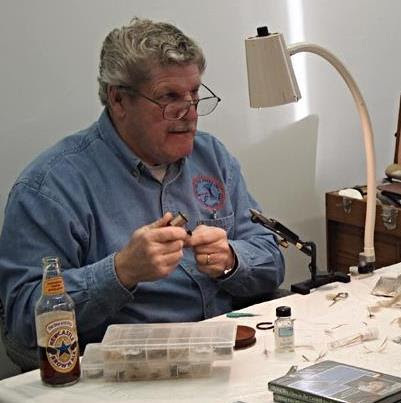 He is a regular tyer at the International Fly Fishing Show, as well as the the International Fly Tying Symposium. His love for the sport of fly fishing as well as the art of fly tying, have driven him to create some exceptionally innovative, and effective patterns through the years. Fly Tying Demonstrations will start around 10 am. We will have fly rods set up to test drive outside as well. We just received a fresh new stock of materials for the Fall! We look forward to seeing everyone and sharing our fish or fish"less" stories! Come stop by to hang out, laugh, meet some new people, learn something, and find out what fly fishing adventures could be in your near future! 100% Chance of a Good Time!